The Fictitious Domain Methods are generally used to numerically solve a problem, that is initially defined in a geometrically complex domain, in a bigger and geometrically simpler domain. A FDM often involves the imposition of a boundary condition (bc) no longer on an external boundary of the domain but on an « immersed boundary ». The FDM I have used is based on the Lagrange Multiplier Fictitious Domain Method  (see also ). The « immersed boundary » is discretized by a set of control points on which a given Dirichlet bc is enforced at a cost of a local modification of the discretized equations (see  for more details). At least two possibilities exist to numerically solve the problem : use the « standard » Finite Element Method (FEM) or use the Fictitious Domain Method (FDM). We consider now the viscous flow around a rotating rigid cylinder placed near a moving wall. This problem has an exact solution in the 2D Stokes regime . The Fictitious Domain Methods can also be used to couple two solvers using two different spatial discretizations. This approach is sometimes referred to as a coupling via a non-matching interface method. 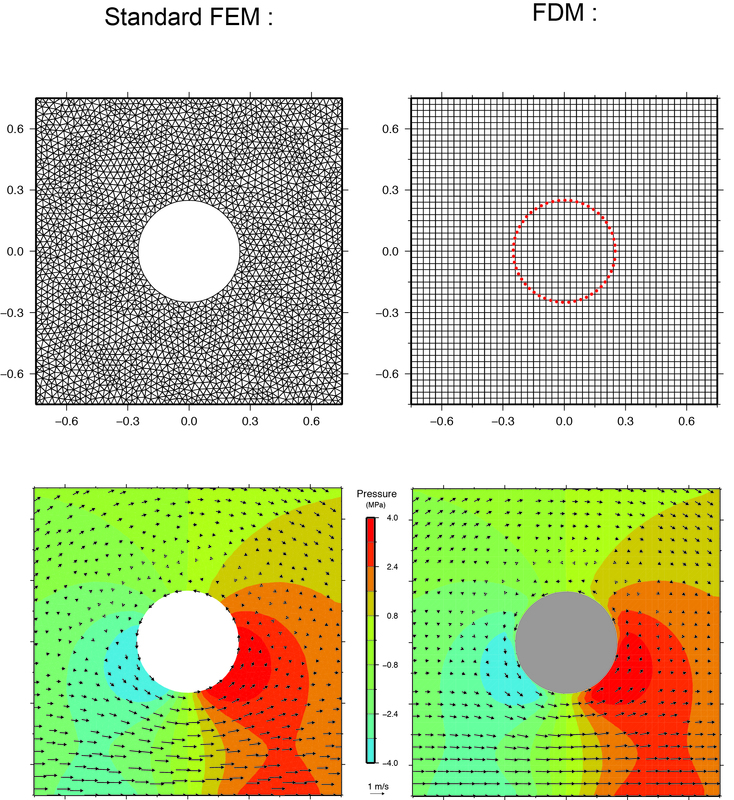 I use the FDM to couple a solid Lagrangian solver to a Stokes Eulerian solver, in the context of geodynamic modeling. The method is described here . Glowinski, R., Pan, T. W., & Periaux, J. (1994). A fictitious domain method for Dirichlet problem and applications. Computer Methods in Applied Mechanics and Engineering, 111(3), 283-303. Bertrand, F., Tanguy, P. A., & Thibault, F. (1997). 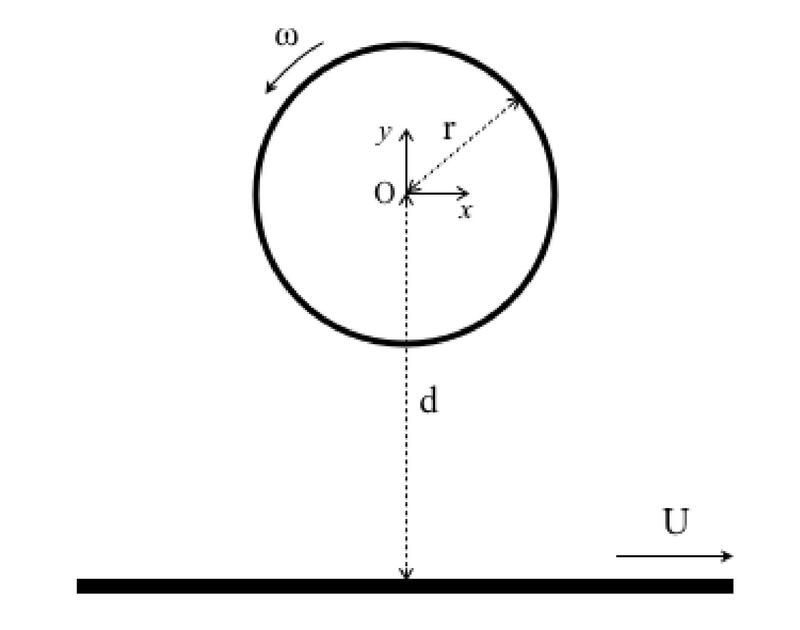 A three‐dimensional fictitious domain method for incompressible fluid flow problems. International Journal for Numerical Methods in Fluids, 25(6), 719-736. Wannier, G. H. (1950). A contribution to the hydrodynamics of lubrication. Quarterly of Applied Mathematics, 8(1), 1-32.